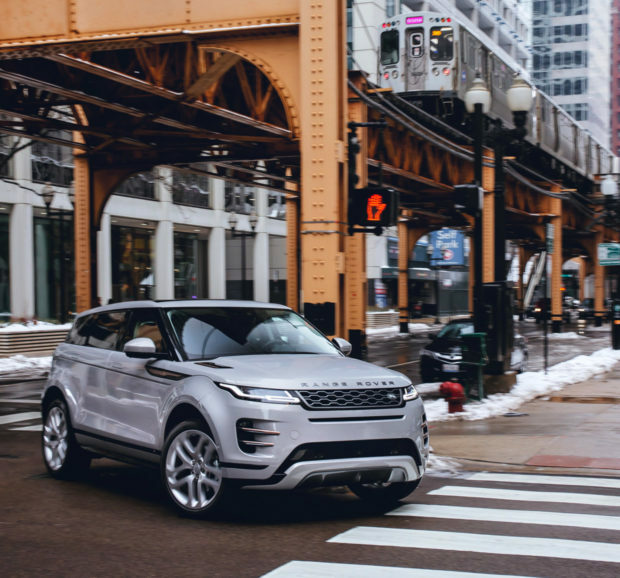 Land Rover’s Range Rover Evoque has always been a great looking vehicle. As we head into the 2020 model year, the sharp-dressed crossover continues to look better than ever, and has all kinds of refinements. 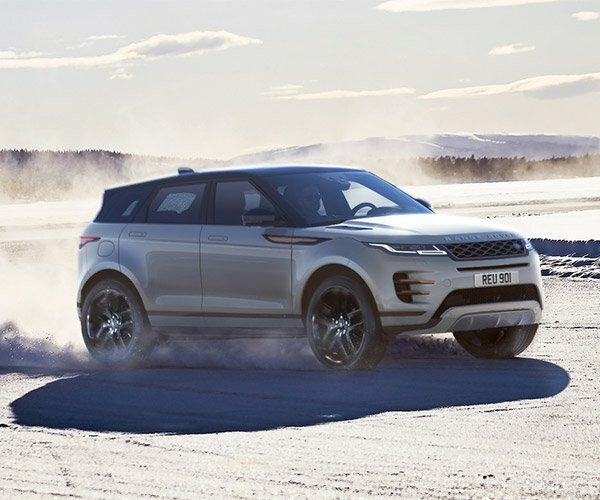 We already know about some of the exciting plans for the new model, such as a new 48V hybrid option, which should put a little extra pep in the Evoque’s step. Now we have all the detailed specs and pricing information, which were announced today at the 2019 Chicago Auto Show. 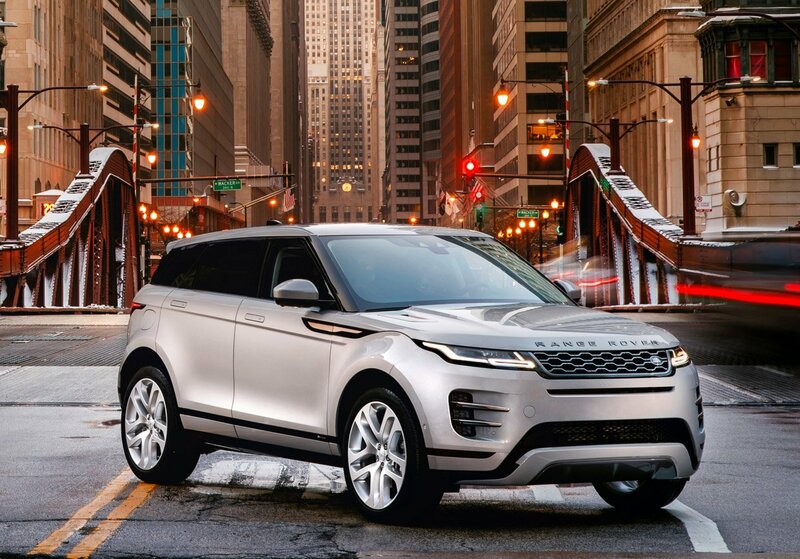 The 2020 Evoque will come in six flavors, with the S, SE, and First Edition packing a 246 horsepower, 2.0 liter inline 4 engine, while the R-Dynamic S, R-Dynamic SE, and R-Dynamic HSE get the aforementioned mild hybrid drivetrain, which not only bumps power to 296 hp, but increases torque from 269 lb-ft. to 295 lb-ft. Both drivetrains will use the latest version of ZF’s 9-speed transmission, the 9HP50. The gas models do 0 to 60 mph in 7.0 seconds, while the hybrid does the same in 6.3 seconds. In addition, top speed for the hybrid is 150 mph, an 8 mph bump from the gas version. 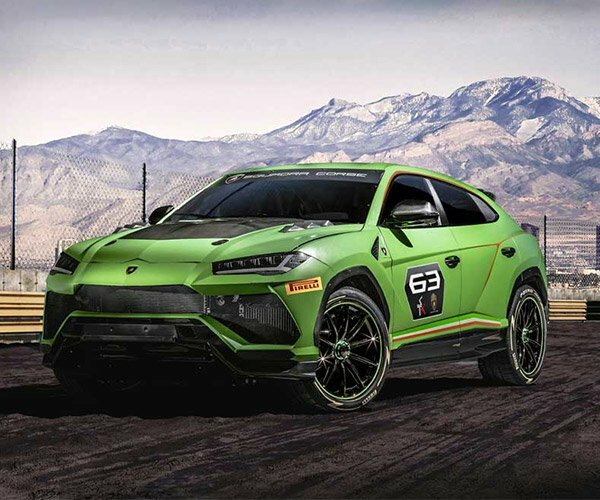 The motor in the hybrid version is powered by a 48-volt lithium-ion battery pack, with the added hardware increasing weight by just 140 pounds over the conventional gas model. Curb weight for the gas model is 3,935 lb, while the hybrid weighs in at 4,075. 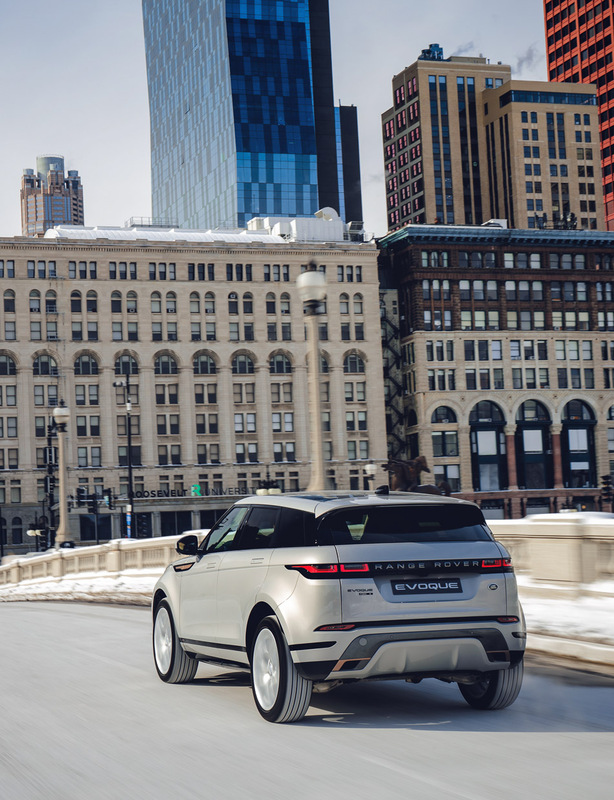 All models will offer a 4WD system with available Terrain Response 2 system, which can help the Evoque handle a wide variety of surfaces, both on- and off-road. 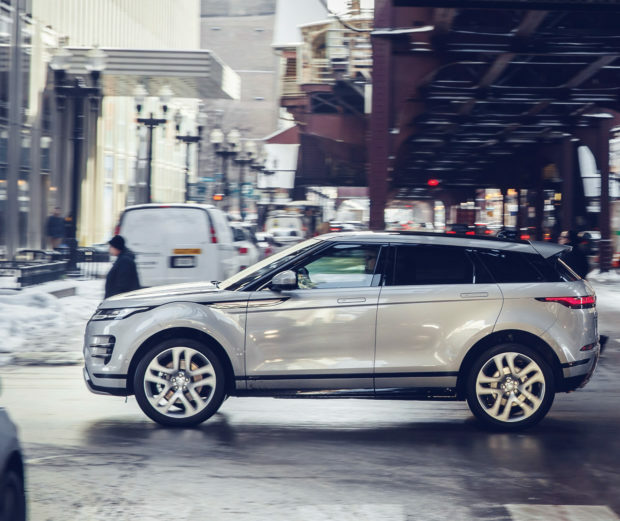 Land Rover says the body structure of the new Evoque is 13% stiffer than before, which should reduce noise and vibration in the cabin, and an adaptive variable suspension to improve ride quality and adjust to driving conditions. In addition, a new active driveline system (which comes standard on P300 models) includes torque vectoring to improve cornering and overall handling. Inside, there’s more knee room for rear seat passengers, increased storage space for small items, and 6% more cargo space than before. The new models also include a faster InControl Touch Pro Duo infotainment system, Apple CarPlay, and Android Auto, as well as as an available digital rear view mirror, and ClearSight Ground View tech, which improves ground level viewing at the front of the vehicle – improving off-road visibility. U.S. Pricing for the 2020 Range Rover Evoque gas models starts at $42,650 for the S, with the SE going for $47,200, and the First Edition at $56.850. The hybrid lineup starts at $46,600 for the R-Dynamic S, $51,150 for the R-Dynamic SE, and $55,800 for the R-Dynamic HSE. 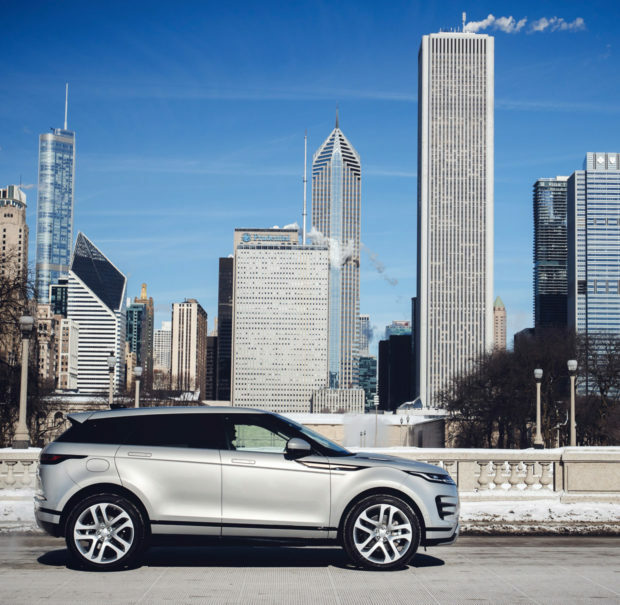 Photos by Nick Dimbleby for Land Rover USA.